We at PowerStream pride ourselves on being the friendliest design group on the planet. Our competence and speed in this very specialized technology keeps our customers coming back for more. At PowerStream we're shaping the future and leading the way in power products, for the medical, military, consumer and industrial applications worldwide. As a innovative leader in power supply engineering we design our products to have more features, be smaller in size and lighter in weight than our competitors. This leads to higher overall performance and lower cost. PowerStream products meet or exceed our customer's expectations. We created a charger system for a bionic arm battery pack. The old system took 12 hours to achieve full charge. Ours takes just 45 minutes. When a major home computer company needed a charger for one of their hand held computers, they came to PowerStream Technology. 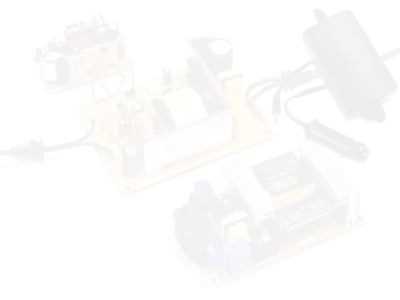 We designed a surface mount, multiple output power supply and charger for them which was a critical part in making their product more efficient. This design has since been patented. Our company designed a high power charger for a UPS which is now being marketed internationally. The charger handles input voltage ranging from 90 volts to 260 volts AC and output voltage ranging from 0 to 300 volts DC at one amp constant current. Charge time take one half the time expected by our customer. This system also monitors battery status, fault conditions and reports this information to a external computer system. This is a small sample of the many products which we have designed. If your product can use a competitive advantage contact us today. contact us!